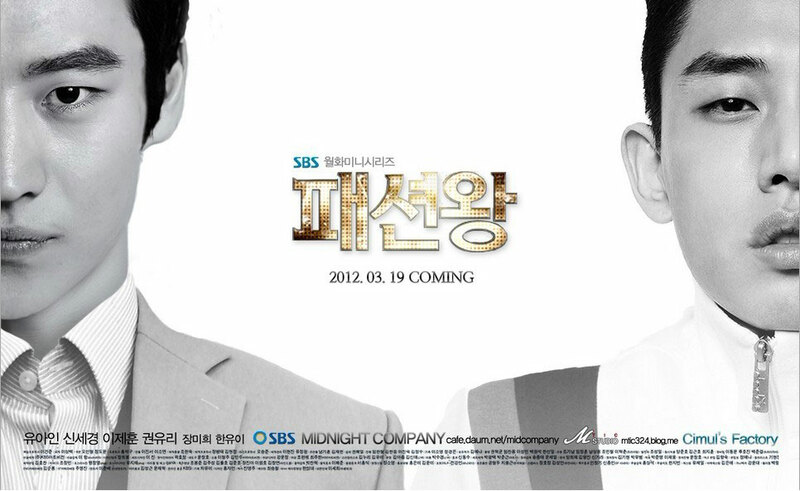 The SBS drama series “Fashion King” has been heavily criticized by the viewers for the last 2 weeks. Apart from the criticism of repetitive and sluggish plot, a lot of questions been raised on the personality of lead characters. The drama is said to be not related to “fashion,” but quipped that the series should change its name to “Sluggish King”. The drama which has unstable viewership ratings are showing a downward trend. The “Fashion King” starring Yoo Ah In, Shin Se Kyung, Kwon Yuri, and Lee Je Hoon has aired 10 episodes. To many viewers who love fashion, they’re very interested in te theme about young idols chasing the dream in fashion, and the ratings can always maintain at double-digit number. But from episode 7, audience has voiced complaints continuously. Viewers pointed out that the love lines of the 4 lead actors are messy and boring. Lee Je Hoon and Kwon Yuri who were a lover couple reunited at the beginning of the drama do not looks like a soul-mate couple, and Lee Je Hoon is tearing his heart for Shin Se Kyung time and again. While the feelings of Yoo Ah In not only couldn’t be understood, but the setting of the personality for the character is disgusting. The viewers claimed that they haven’t seen such a bad personality of protagonist in Korea drama. As for the title of the drama, “Fashion King,” viewers also said that the content about “fashion” was barely mentioned in the few segments which were filmed in New York, and the rest of the drama did not relate to “fashion” in the slightest. Even the so-called clothes designed are just the few pieces been used throughout the several episodes of the story. To make matter worse, four episodes consecutively in a row were only repeating the clueless love lines of four main characters. As the result, the viewership ratings for episode 10 of “Fashion King” dropped to 9.6% (AGB Nielson), while the rival at the same time slot, “Lights and Shadows” hit 22.3%. If the production team still does not listen to the views of the audience, it’s widely believed that the ratings of “Fashion King” won’t go very far.